It’s important that you find the right contractor to get your deck install project done. 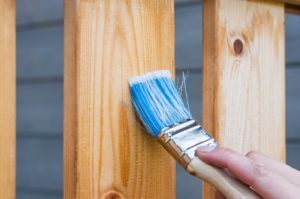 Adding a deck to your property for summer is a great way to add value to your home but more importantly, it adds something you can enjoy for years to come. Any deck installation must be done properly to ensure that it is safe and secure so that you don’t have to worry about anything more than who to invite to your next cookout. Before you head to your contractor you will want to have a basic plan of what your dream deck will have and look like. This includes layout, materials, how the railings will look, the staircases and coverings as well as any special features like benched and firepits. You’ll want to take this list and contact several potential contractors to compare pricing, timelines, and ability. You’ll want to make sure this estimate includes all possible costs such as landscaping, trash and debris pickup, cleanup and removing any large trash. Before you decide on a contractor or builder make sure to thoroughly research their work. Look for reviews, recommendations, and ask for plenty of data on their relevant licenses and accreditation’s. Once you’ve done your initial research make sure to continue to ask questions. Knowing information about their warranties, insurance policies, permitting abilities and history can help you make the right choice for your construction. Once you’ve found the right person for the job there is still more work to do to ensure that they are held to their responsibilities. A full contract will be needed to ensure this. You’ll want to make sure it includes: a complete layout of the work to be done, detailed pricing information including details about any deposits and final payments, cleanup details, insurance documentation and a copy of the contractors license, details about the permits and design approvals, as well as confirmation that the contractor is liable for any damages to your home and property. If you’re looking to add a deck this summer make sure to come visit our stores! Our Millersville and Edgewater locations are both open Monday-Friday from 6:30 AM to 4:30 PM, as well as Saturday from 8 AM to 1 PM. This is the best way to get an idea of what the products look like before you order them! This entry was posted on Friday, April 20th, 2018 at 12:38 pm. Both comments and pings are currently closed.